Canadian Foreign Minister Chrystia Freeland says Canada has asked China to spare the life of a Canadian man facing a death sentence. 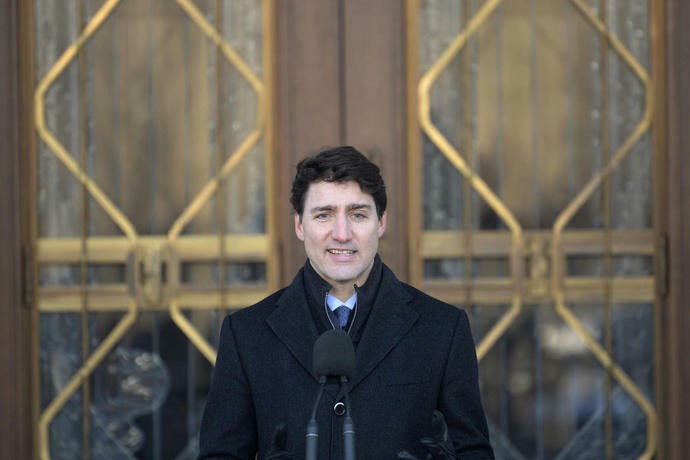 Freeland also mentioned a long list of allies that the country has courted in its efforts to free two other Canadians imprisoned last month after Canada arrested a Chinese executive at the request of the United States. Freeland's remarks came after China earlier Tuesday expressed "strong dissatisfaction" with Prime Minister Justin Trudeau's criticism of a death sentence handed down to a previously arrested third Canadian, an alleged drug smuggler. Robert Lloyd Schellenberg was sentenced in 2016 to a 15-year prison term. But on Monday, after a new trial, he was sentenced to die. Freeland says the death penalty is inhumane and inappropriate, and Canada has asked China's ambassador to Canada for clemency. The foreign ministry's consular affairs office published a notice Tuesday saying that Canada has recently "arbitrarily detained" a Chinese national - a reference to Canada's arrest of Chinese executive Meng Wanzhou at the request of the United States. It urged Chinese citizens to consider their personal circumstances and "fully assess the risks of going to Canada for tourism." It added that Chinese people should approach travel to Canada with caution. The notice mirrored Canada's revision of its own travel advisory to warn of the "risk of arbitrary enforcement of local laws" in China. Meng, chief financial officer of Chinese telecommunications giant Huawei, is out on bail in Vancouver and faces possible extradition to the U.S.
China is expressing "strong dissatisfaction" with Canadian Prime Minister Justin Trudeau over his criticism of a death sentence given to an alleged Canadian drug smuggler at a retrial. Foreign ministry spokeswoman Hua Chunying says Trudeau should "respect the rule of law, respect China's judicial sovereignty, correct mistakes and stop making irresponsible remarks." Hua told reporters at a daily briefing Tuesday that China expresses "our strong dissatisfaction with this." Hua's comments are the latest sign of a sharply chilly turn in China-Canada relations since Canada detained a top Chinese telecommunications executive on Dec. 1 at the request of the United States. A court in northeastern China announced the death sentence for Robert Lloyd Schellenberg on Monday, overturning a 15-year prison term from November 2018. Schellenberg first went on trial in 2016. China's first blockchain-enabled notary has opened offices in Beijing, local media People reported on April 19. Per the report, the service opened last Friday at the Beijing CITIC Notary Office. During the launch event, the director of the Beijing CITIC Notary Office Wang Mingliang noted that he believes that blockchain-based notarization has both the value of notarization and legal significance of blockchain certification. China's green light to build more coal-fired power plants probably won't usher in a flurry of new construction as most policies and investments in the top energy user will tilt toward renewable sources. More than 10 regions will be freed of their overcapacity tag in 2022, clearing a hurdle for them to resume building coal-fired plants. But many of the nation's largest power companies are under a state drive to develop more clean energy projects, according to Morningstar Inc.
China on Tuesday will mark 70 years since the founding of the People's Liberation Army Navy, where it will show off new warships including nuclear submarines and destroyers at a major review in the waters off Qingdao. China says warships from about a dozen nations are also taking part - one diplomatic source with direct knowledge said it was 13 countries in total - and the PLA is putting its best foot forward to welcome them. India, which has been at odds with China over their disputed land border and Beijing's support for India's regional rival Pakistan, has sent stealth guided-missile destroyer the "INS Kolkata" to take part, along with a supply ship.